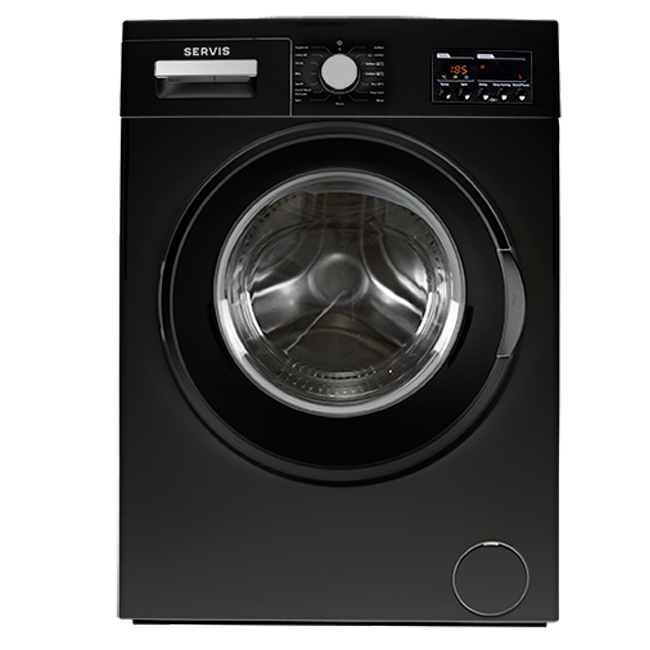 We’re not sure what the Guinness World Record for washing a load of laundry is, but clocking in with a lightning fast 12-minute cycle time, the latest HydroDrive washer from Servis has definitely got to be in the running. As the newest addition to the company’s popular line of washing machines, the 7kg W714F4HDB features two HydroDrive jet nozzles to wash clothes instead of just one, making it considerably faster than conventional machines. Its got 15 different quickness settings, ranging from a blistering 12 minute quick wash to the super thorough 140 degree (60 C) one our option, and can also spin at 1400 RPM, which significantly reduces drying time. But ultrafast wash speeds aren’t the only trick HydroDrive has up it’s sleeve. On the control panel it’s got a big ol’ LED screen that can display not only stuff like what temperature and spin speed you’ve selected, but also show exactly how long your load has left to run – ideal for busy families or anyone who lives by the clock. To help you fit laundry into your hectic schedule, the machine also comes with a time delay function that suspends the start time of a program for up to 23 hours, thereby ensuring that the cycle finishes only when somebody’s around to pop it in the dryer or hang it up. It’s also ridiculously energy efficient. The machine carries an “A+++” rating, which means it uses up to 50 percent less energy and 15 percent less water than a standard “A” rated machine. It’s also got Servis’ Eco-Logic system to detect when half a load or less has been put into the machine, and will automatically adjust the amount of water used to ensure none is wasted. Furthermore, if you’ve got a house full of mischievous little brats that like to fiddle with shiny buttons, the new HydroDrive washers come equipped with a quick and easy child clock mechanism that prevents them from tainting your whites. Priced from £290 ($467 dollars). The new Servis HydroDrive washing machines are available in white, black, and silver, and come with a free two-year parts and labour guarantee. Find out more here.